Tomorrow marks the maiden voyage of the RMS Titanic and April 14 will mark the 100th anniversary of the ship’s sinking. However, let’s not use the time to focus on tragedy and instead look back to the extravagant fashion styles of the time period. The dress styles of the ship’s passengers varied wildly depending upon the class of lodging. While passengers staying in second and third class lodging dressed modestly, the wealthy first-class passengers dressed in the highest fashions of the time. Passengers such as J.P. Morgan, Benjamin Guggenheim, and Macy’s Dept. Store owner Isidor Straus were men of luxury and elegance, dressing themselves and their wives in naught but the finest designs of the Edwardian era. First-class men generally wore suits/tuxedos with polished shoes and top hats while the women wore elegant gowns. These Edwardian era dresses were elaborate and highly ornamental. They weren’t very practical, but the lavish style hints at an age of industrial prosperity for pre-WWI America and Europe. 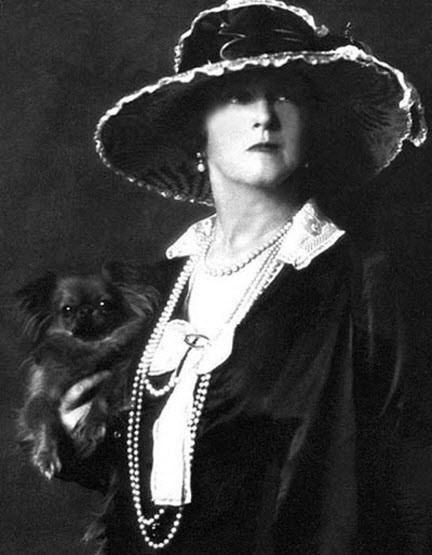 One passenger on the RMS Titanic was actually a woman of great note in the fashion world, Lucile Duff-Gordon, a prominent English Fashion Designer. Her design business had branches in NYC, Paris, London and Chicago, and it’s likely that several of the women onboard the RMS Titanic were actually wearing clothing based on her designs. Duff-Gordon survived the ship’s sinking and even tempted fate again three years later, when she purchased passage onboard the American luxury liner The Lusitania, which was torpedoed by German submarines and launched America into the First World War. Duff-Gordon fell ill though and cancelled her trip. For more pictures and information regarding Edwardian Era fashion and the RMS Titanic check out this slideshow from the Huffington Post. This entry was posted in Fashion and tagged Edwardian Era, fashion, Lady Duff-Gordon, London, New York, Orientalism, Titanic. Bookmark the permalink.